Investing Advice And InformationBarack ObamaWhat Do ‘Canada’s Warren Buffett’ and Former President Barack Obama Have in Common? Prem Watsa likes to keep a low profile. Nicknamed the “Warren Buffett of Canada,” Watsa is the founder, chairman and chief executive of a diversified insurance company, Fairfax Financial Holdings (FFH.TO/FFH-U.TO), based in Toronto. Inspired by reading Napoleon Hill’s “Think and Grow Rich,” Watsa arrived in London, Ontario, Canada in the winter of 1972 with just $8 in his pocket. Watsa had come from India to earn an MBA at the University of Western Ontario. As a student, he survived by selling stationery and small gifts door to door. In 1974, with his MBA in hand, Watsa interviewed at Canadian insurance giant Confederation Life. That experience left a lasting impact on Watsa. He even named one of his children after Benjamin Graham. A decade later, Watsa left to launch his own company. Today, his Fairfax Financial Holdings operates in Canada, the United States and a dozen other countries worldwide. Watsa’s investment philosophy helped him compile a remarkable investment track record at Fairfax. Fairfax’s book value grew by a compounded 25% over its first 25 years. Fairfax’s stock first listed at about $4 per share. Today, it trades at around $620. As a value investor, Watsa prided himself on ignoring Mr. Market’s mood swings, and betting on companies most investors have abandoned. Yet, Watsa is more than just a pure value investor. His contrarian streak also reflects the influence of Sir John Templeton. Watsa hit the financial headlines in 2013 with Fairfax’s contrarian and controversial bet on Canada’s local tech darling, Ontario-based BlackBerry Ltd. (BBRY). Today, BlackBerry Ltd. is Fairfax’s largest holding. At the end of 2016, Fairfax held around 46.75 million shares of BlackBerry to account for an eye-popping 27.52% of its stock portfolio. Blackberry is best known for developing the early pre-smartphone keyboard mobile phone with email capabilities back in 1999. By the time it peaked in 2007, BlackBerry boasted a remarkable 40% global market share. Despite its early dominance, it was unable to adapt to the advent of the iPhone era. BlackBerry’s stock price tumbled from above $230 a share in 2007 to $6 and $7 only six years later. Investors wrote off the company as dead. It became one of the most shorted stocks on Wall Street. Investing in a company that many investors had left for dead is a classic move for Watsa. Today, most of the market still values Blackberry as a failed mobile handset producer. It ignores the fact that it has become a rapidly evolving software-only provider. Therein lies the opportunity for investors. In 2013, at Watsa’s urging, BlackBerry hired current CEO John Chen, who had experience in turning around struggling tech companies. Chen led the transformation of BlackBerry by implementing a radical new business strategy. First, Chen outsourced the manufacturing of BlackBerry’s smartphones to Chinese smartphone maker TCL Communication. Today, BlackBerry simply receives a licensing fee from all device sales. Second, Chen capitalized on BlackBerry’s reputation for reliable software security to refocus its business on cyber-security products. BlackBerry’s software always has been uniquely secure. And in today’s world, security is an ever more important issue. 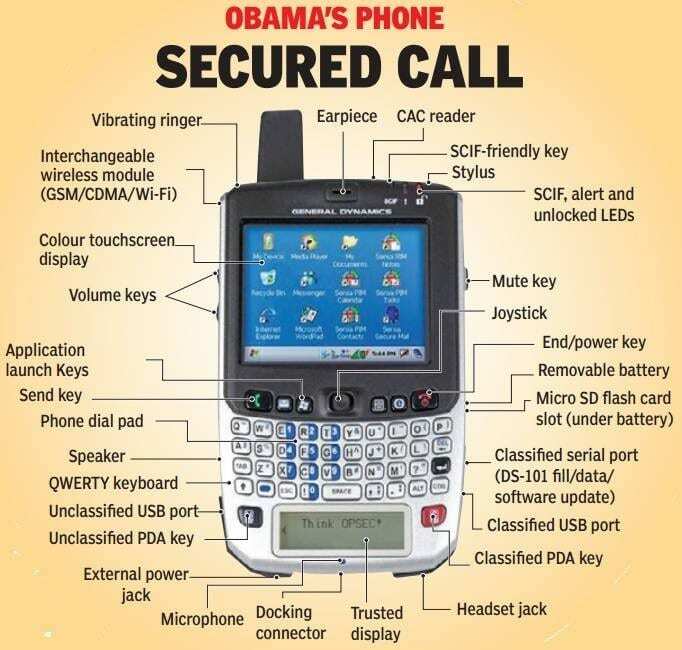 Security also explains why former President Barack Obama-like Prem Watsa — carried a BlackBerry and not an iPhone. Third, Chen shifted the business’ focus to providing software in a newly emerging sector. Back in 2010, BlackBerry acquired QNX Operating Systems. QNX dominates a niche in the software market, in surgical equipment, in nuclear power plants and in the fast-growing industry of autonomous driving and connected car technology. Today, QNX already controls more than 50% of the market for infotainment systems in cars. The QNX system is also used in over 50 million vehicles to link the internal devices and sensors related to parking assistance and recognition software. BlackBerry has teamed up with companies like Intel (INTC), Ford (F), Mercedes-Benz and BMW. Ford recently announced that it is hiring 400 BlackBerry engineers to work on new connected car technology. The latest version of QNX software already has over 60 partners signed up to develop for it, including ARM and Intel. The transformation of BlackBerry into a software company is bearing fruit. In its most recent quarter, BlackBerry surprised investors by announcing positive earnings of $0.04 per share. Revenues of $297 million also beat analysts’ estimate of $289 million. Notably, revenue from software and services hit $193 million, up 25% from a year ago. BlackBerry also signed up 3,500 new customers in the last quarter to mark a 16% increase. Blackberry has become a company full of surprises. On April 19, BlackBerry shot up 16% on news that Qualcomm (QCOM) was ordered to pay BlackBerry $815 million in royalties to license technologies for its smartphone business between 2010 and 2015. The $815 million award translates into about $1.53 per share of value for BlackBerry’s stock. With this new inflow, BlackBerry’s cash position increases to $1.9 billion. That gives the company the resources to seek out new acquisitions in the cyber security area. Still, investing in a “fallen angel” like Blackberry today is so contrarian that it hurts. But that’s the way the very best investments feel when you make them. P.S. Blackberry LTD (BBRY) is just the latest recommendation in my new monthly investment service, Smart Money Masters, where I recommend stocks based on the actual holdings of the world’s top investors. The current Smart Money Masters portfolio includes both Warren Buffett’s and George Soros’ top investment bets, as well as those of lesser-known, but potentially even more successful, smart money investors like Prem Watsa. Click this link to find out more. In case you missed it, I encourage you to read my e-letter from last week about what the world’s top traders are reading. Income investment expert Bryan Perry provides assessment on Trump’s tax reform proposals so far.